At first glance, Baidu (NASDAQ:BIDU) stock looks like a screaming buy. BIDU stock has struggled as its challenges pre-date the U.S.-China trade war, spending the last four years in a trading range. Conversely, its non-China counterpart Alphabet (NASDAQ:GOOGL, NASDAQ:GOOG) has approximately doubled in value over the same period. But is BIDU stock really that much of a bargain? 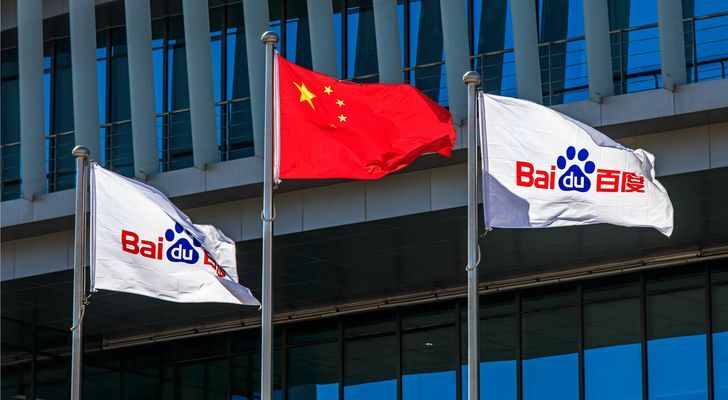 While the trade war and the long-term China growth story may tempt investors who want to make a contrarian play on Baidu, investors should consider growth and legal factors before jumping into this equity. To be sure, the current environment has made BIDU look attractive to contrarian buyers. The stock trades at a forward price-to-earnings (PE) ratio of 17. While its profit growth came in at only 6% for this year, it has maintained double-digit earnings growth in previous years. Wall Street also expects 10% for next year. Growth could also perform better than expected as this stock tends to blow away earnings estimates. All of the previous four quarters have seen the company beat earnings estimates by wide margins. These earnings beats ranged between 23 cents and 64 cents per share. Moreover, closely matches Google in search and deriving revenue from ads. It also has made a substantial investment in autonomous cars and other artificial intelligence (AI) applications. Furthermore, we see a wide difference in market cap between Baidu and Alphabet. Baidu’s current market cap stands at $61 billion, a little bit less than one-twelfth of GOOGL’s current $729 billion. Even if one concedes all of the countries outside of China to Alphabet, Baidu provides search to 19% of the world’s population. This indicates BIDU should grow to more than one-sixth Alphabet’s size. So should investors dump Alphabet in favor of Baidu stock? Not so fast. Unfortunately for BIDU stock, the near term looks like a different story. The aforementioned profit growth rates fall short of GOOGL. While BIDU will see 6% growth this year, analysts expect Alphabet’s to reach 26%. In 2019, Wall Street forecasts 10% growth for BIDU. They expect GOOGL to grow its profits at a 12% rate next year. GOOGL stock also trades at a 22 times earnings, about 30% higher than Baidu’s PE ratio. When one compares valuations to growth rates, BIDU does not hold a consistent advantage. Also, buyers should remember that the BIDU traded in the U.S. is not actually stock in the company Baidu. Like Chinese counterparts such as Alibaba (NYSE:BABA), Tencent (OTCMKTS:TCEHY), or China Mobile (NYSE:CHL), purchasing Baidu stock buys one into a Cayman Islands-based “variable-interest entity” with links to the parent company. While this entity holds contracts to receive the profits of the parent, the parent it is not. Financiers created these entities to get around Chinese rules forbidding foreign entities from owning such assets. While one should not assume these entities will necessarily cheat investors, it adds an element of risk. After factoring in both profit growth, political hazards, and legal risks, BIDU does not stand out as much as one might anticipate. To be sure, Baidu has become the Chinese version of Google. As such, it controls a large market share in the online ads space and leads AI advancements. It also will provide almost one-fifth of the world’s search market even if it never leaves China. However, growth rates lag that of Alphabet. While it may trade at a lower multiple, the reduced growth levels negate BIDU’s advantages. Further, U.S. investors cannot buy a stake in Baidu in the same way they can own a share of GOOGL or any other U.S. company. They must instead settle for an entity that receives Baidu’s profits. Given the U.S.’s tenuous relationship with China, this adds risk to BIDU stock. I expect Baidu will continue to dominate internet search in China and continue its growth. However, I also believe prospective buyers should hold out for a more favorable risk premium before buying Baidu stock. Article printed from InvestorPlace Media, https://investorplace.com/2018/12/dont-buy-bidu-stock-risk/.